What others say about chiropractic care can help you make the right health care choice. Review a selection of Sally Dawson Chiropractic patient testimonials below and please email me or contact our Nelson chiropractic office if you have any questions. Headaches 6 out of 7 days of the week, also chronic back and neck pain that was out of control. How has your health improved, or what changes have you experienced? My whole life has changed, hardly ever had the amount of headaches that I used to have and my back and neck is far more manageable than it used to be. Sally is very understanding, and does her best to make you feel better by the time you leave. I am very happy with what she has done to improve my life. Prone to having neck out and uncomfortable, poor posture with feet turned out. Lucy’s posture and stance has completely changed. It is helping her in every aspect of her life from ballet, sport and just generally how she stands and walks. How has your health improved, or what changes have experienced? My daughter had been diagnosed with chronic migraines from the GP and put on medication. It was recommended by a friend to see Sally as I was not comfortable with her being on regular medication. Amazing! Kate who was suffering from 2-3 migraines a week has none now!!! A supplement for Kate’s liking of sugary foods has totally changed her eating habits and nutrition. Sally related to Kate and everyone of us so easily. Her explanations and solutions have worked exceptionally well for all of us and changed our daily lives. How has your health improved or what changes have you experienced? The shape of Cam’s face has changed!! He is able to breathe through his nose so much better. Cam who couldn’t stand his head being touched to heven have his hair dried – is now wanting to use products in it! Cam’s posture and feet have definitely improved too. The supplements that Sally put me on were spot on. They took effect very quickly. The regular adjustments Sally made to my body significantly helped my lower back and neck issues that I have been suffering from for a long time. Sally always explains whats going on. Understanding the why and how helps so much in the treatment. I sustained a major debilitating lower spinal injury in the late 1980’s, needed lower spine surgery, and have engaged chiropractic support to manage recovery and on-going well being, in order that I can continue with my professional realm of outdoor instruction and leadership. I have received chiropractic treatment from Dr Sally Dawson over the last five years. This has been in response to particular trauma and to manage the overall mobility of my spine and broader skeletal structure. This non-invasive treatment has allowed for rapid and effective recover from intermittent back pain, limited mobility and injury, permitting swift return to workplace. Furthermore, I have maintained a gently ascendant recovery pathway of strength and mobility, with consequent reduction in pain and discomfort. Back pain is the plague of the post forty biped. Sally Dawson has proved to be a sound diagnostician and has persistently offered successful chiropractic treatment. I have valued the contact and the chiropractic process. He moves are more fluid and he loves to run everywhere now. Huge improvement. My son loves coming to see Sally – he has lots of fun. Chronic back and body pain from an accident in 1947, no xray’s back then and little knowledge of such an injury to help over the following years. during the 1960’s chiropractors came to Canterbury where we lived at that time, with heavy treatments and minor pain relief. Only when Sally became our chiropractor, with her gentle treatment and great knowledge of how bodies work, did my body improve greatly. Sally’s recommendations of supplements are always accepted, as I know from experience of the uplifting and beneficial effects of her expertise in this. My husband (90yrs) also attends occasionally, and feels totally refreshed after Sally’s “fine tuning”. We are forever grateful to her. My son came to see Sally with a nervous head shake. He was lacking confidence in speaking out how he felt and in sharing in classroom discussions. He was lacking in leadership skills. He often used to let his emotions out on his sister with hitting and kicking. After taking a bach flower remedy from Sally, his head shaking has stopped. His teacher has commented on how he is now being involved in classroom discussions at group time. He is also showing leadership skills. His relationship with his sister has improved and he now co-operates and shares. I have seen such a change in my son, it has made our family unit much happier and we all have more energy. ME/CFS Hardly able to stand when I got out of the car on arrival. Had very fast heartbeats, unable to sleep and was feeling really ill. I was unable to walk up 3 steps to our clothesline. I found it difficult to even walk to our letterbox. I am now able to drive my car and am sleeping well and am able to climb stairs. My fast heartbeats have improved. My health has improved so much that I am now able to attend a night class at Waimea College. 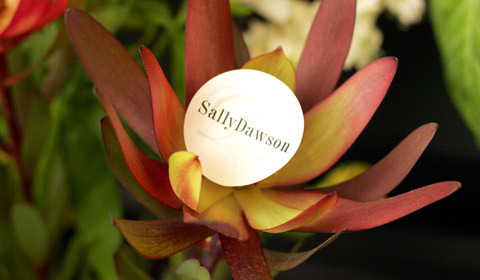 I am really grateful for the help and understanding that I have received from Dr Sally Dawson. The herbal supplements that I have been taking have obviously been a great help in restoring my health. Had a terrible cough for 3 weeks, throat and sinus infection, and was tired. Just couldn’t shake it. Anxious about my work situation, dealing with a lot of conflict in the workplace. The day after I saw Sally, I woke up and for the first time in weeks I didn’t have a huge coughing fit. My sinuses cleared, my voice sounded normal and I simply stopped coughing. I went to work and felt as though I could handle the stresses there. The conflict was still needing to be sorted out but I wasn’t feeling as panicked by it. Since seeing Sally a couple of weeks ago, my energy levels are back up and I’m enjoying cycling again. I have dealt with the conflict at work in a way that I am really happy with. Most of all, I feel hopeful again and this renewed sense of optimism has improved my work and my personal relationships. Thank you Sally. If you think that you or a loved one is a good candidate for chiropractic care, contact Sally Dawson Chiropractic to arrange a thorough examination in our practice.